Sports and games are integral part of all round development. Keeping this in consideration inter house football match was organized as a monthly activity at Shivalik Public School, Patiala. It was supervised by the physical education teachers. 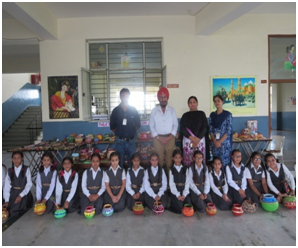 There were two groups in which students of class VI to VIII participated in Junior category and class IX and XI competed in senior category. The winners were applauded and appreciated by the school authorities.